IT’S A STARTLING statistic. 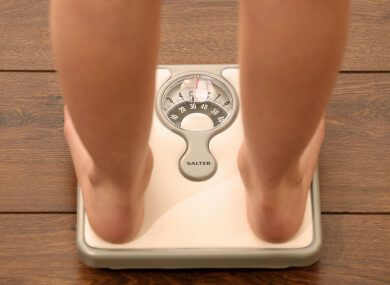 In Ireland, 10% of boys and 9% of girls are classified as obese. Back in 1975, the figure across both sexes was just 1% according to stats published in the Lancet this week. The study, led by Imperial College London and the World Health Organisation, brought together data from 2,416 studies involving 128.9 million participants worldwide, and found that Ireland is far from alone. Indeed, adolescent obesity is highest (over 30%) in some islands in Polynesia, while around 20% were obese in the US and some countries in the Middle East and North Africa (Egypt, Kuwait, Qatar and Saudi Arabia) and the Caribbean (Bermuda and Puerto Rico). That said, a ten-fold increase in less than two generations is far from ideal but it comes as no surprise to David O’Brien, head strength and conditioning coach with Shelbourne Ladies football club and a PE teacher at Coláiste Phádraig in Lucan. “People just seem to disregard the rewards of physical activity when it comes to their health,” says O’Brien. “In young people, you can reduce cardiovascular disease by a large margin and reduce the risk of type two diabetes with just the appropriate amount of physical activity. Kids come into secondary school from primary and their fundamental movement skills are just non-existent. It’s so inadequate for that age group, it’s shocking to see. “Take hand-eye coordination. Even just trying to catch a ball, it’s a real struggle for them. “They’ll play every sport, take part in every PE session. That’s about 14% of students. But then you have the remainder that don’t do anything at all. O’Brien believes that transport is one part of the problem, with kids being dropped to the school gate in cars even when walking is an option. That said, O’Brien thinks technology could provide a solution to any obesity crisis affecting young people. “Phones can be used in a productive way. Nearly every smartphone has a pedometer on it and if you can get to 10,000 steps per day you’ll be considered physically active. There are other smart apps that can track your workout too, that will keep you moving in the right direction. “For me, you can either have results or reasons. You can either get the results from being active or you’re giving reasons for why you’re not. “An hour of exercise is only just over 4% of your day, it’s not a huge amount. “And if you can organise your day to play XBox or be on social media, you can surely organise your day to find time to exercise. “Parents need to be more encouraging at home, even stuff as simple as getting their kids to do more chores or take the dog for a walk, anything that gets them active. “In PE, we can educate students on how to get active, but once they leave the school grounds, it’s not up to the PE teacher to make sure they stay active. They have to be encouraged at home. Of course, O’Brien says there is an onus on schools to play some part. There’s a recommendation of 60 minutes of physical exercise a day. But it’s just a recommendation, kids don’t have to do it. Some schools, especially in third and sixth year, take PE out of the equation altogether and allow students to study during that time. Email “'Maths won't combat the obesity crisis, PE will'”. Feedback on “'Maths won't combat the obesity crisis, PE will'”.